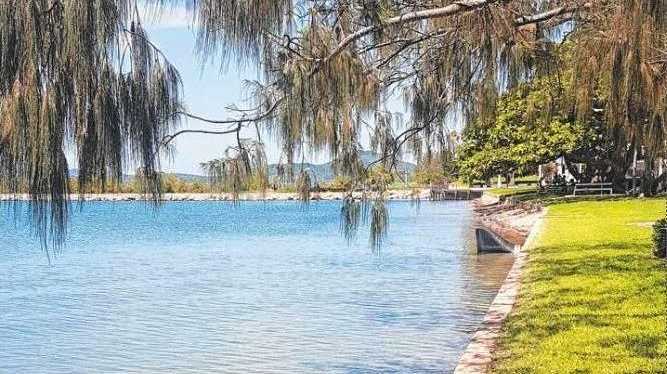 WORK on a new seawall on the Bowen foreshore is only weeks away from starting, with experts saying the new design will provide more protection and be user friendly. Whitsunday Regional Council has appointed a tender to carry out the reconstruction of the wall located at Bowen front beach. The $2 million upgrade will feature an amphitheatre style design to better manage wave action and prevent erosion. It will also include a walking path built atop of the wall to make the beach more readily accessible. Whitsundays councillor Dave Clark said the project, set to start in five weeks, would be something everyone could look forward to. "The design of it means it's going to be stepped, so getting down onto the foreshore will be a lot easier," he said. "The length is roughly 800m so it will be a much better design, and will provide a good place for people to walk and sit." The reconstruction came as a result of damage suffered at the hands of Tropical Cyclone Debbie two years ago. Immense wave action during the storm saw water spill over the wall, creating erosion damage. Cr Clark said because the wall was not considered "critical infrastructure" attaining the funds had been a lengthy process. He said the walkway would make it more readily eligible for funding in the future. "Because there was no critical infrastructure such as a footpath or a cycle way, the funding was difficult to get which is why it's taken so long," he said. Mr Clark said the tender was awarded to Townsville-based firm Auzcon which will be sourcing their parts to carry out the project locally. He said some coconut trees would have to be moved to make way for the new footpath, however, the wall is a win for the foreshore. "The way it is now it's not very user friendly and people have to watch their kids around it and that sort of stuff. It's going to be good, that's for sure," he said.